The most consistent player over the last two years has been their left fielder Eddie Rosario. In the letdown season last year Twins fans could at least look forward to watching Rosario play and he was good in all aspects of the game. 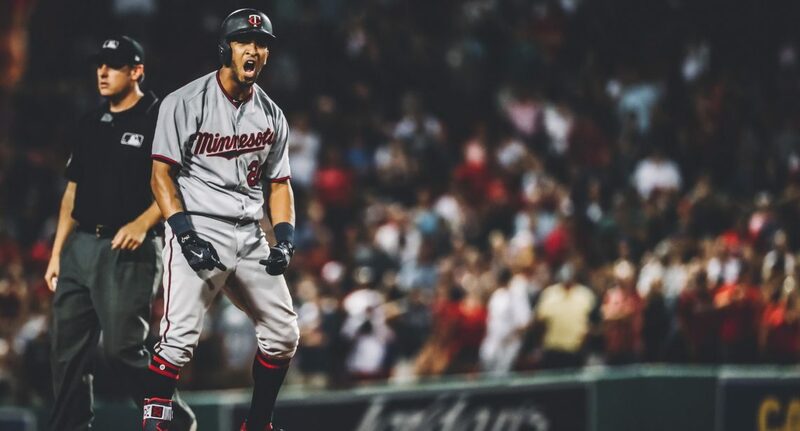 He has looked like a potential all star and he just missed out last year, so if he take some more step he could join a few other Twins on that all star team. Much like Polanco and Schoop, Rosario is a player that could push the twins toward postseason baseball with a great season. The Twins left fielder is one of the most reliable top of the order hitters coming into the year, if not the number one player on the team. For two years in a row he has hit at least .288 AVG with an .800+ OPS in both years. He also hit 27 homers in 2017 with 24 in 2018. Currently Rosario is projected a .286 AVG, 24 HR and 74 RBIs. I feel as if he will perform better but these projections really make it look like the twins are ready to perform. Thank you for reading my 6th position outlook of 2019 and be sure to go read my other articles and check back everyday.If you enjoyed please leave a like and share with your friends. If you have any feedback or other opinions feel free to let me know.